Today, chiropractic is the third most important health care profession, according to WHO. 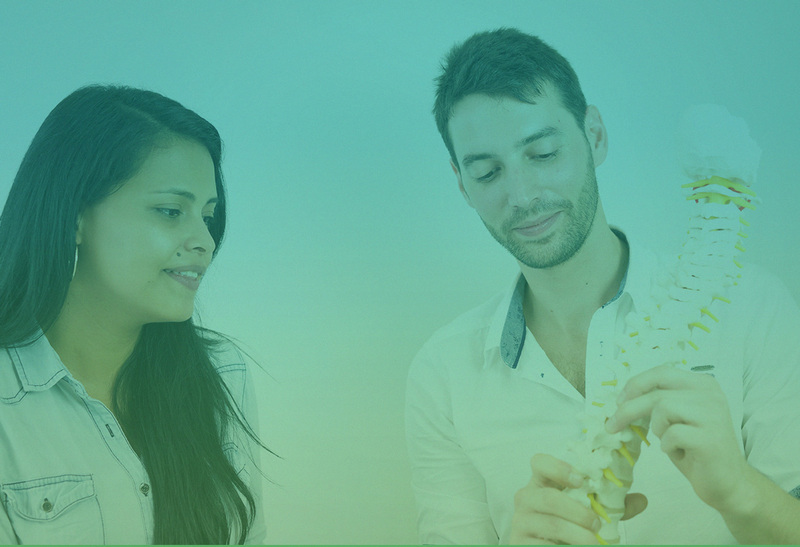 Chiropractic got it’s start in the US more than a century ago...and now it’s getting it’s start in Colombia. Chiropractic was born in USA in 1895. David Daniel Palmer realized the first vertebral specific adjustment to a Butler local (Harvey Lillard) who lost the hearing after an accident. Chiropractic is the health profession that addresses the diagnosis, treatment, and prevention of alterations in the musculo-skeletal system, and the effects that these disorders produce in the nervous system and general health. It places special emphasis in the inherent capacity of the organism to heal itself and the predominance of the nervous system, in relation to the other systems, in controlling homestasis of the human body. 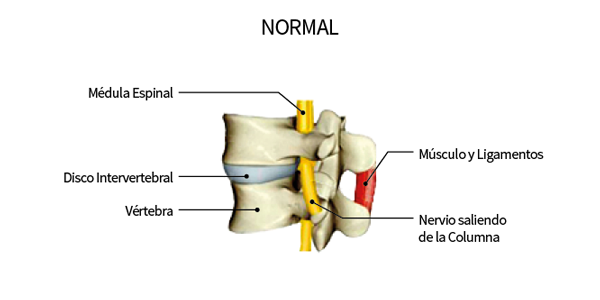 The treatment is fundamentally manual, with the unifying characteristic of the profession being the specific manual vertebral adjustment although many other techniques are available to accommodate different people and different conditions. Traditionally, Chiropractic attends to the detection, analysis, and correction of the chiropractic subluxation or vertebral subluxation complex. The goal of chiropractic is to stop the degenerative process of the spine caused by vertebral subluxations. In a first step, the subluxation cause a spinal loss of motion before generating significant disorders on spinal discs and joints. In other words, vertebral subluxations are responsible for premature aging of your spine . The chiropractic adjustment is characterized by a specific thrust applied to the vertebra in order to restore mobility and eliminate nerve interference. Is it your first contact with the world of the chiropractic? If you are a new patient, we can tell you more about the first visit before thinking together of care plan. 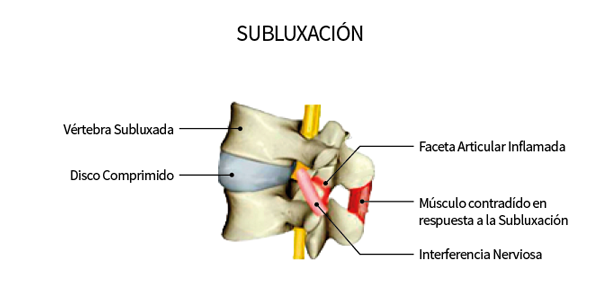 The Vertebral Subluxation Complex is the term applied to a vertebra which has lost its normal position and/or motion in relation to neighboring vertebrae. 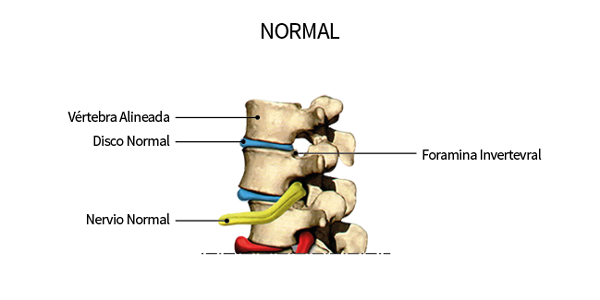 Vertebrae which do not function properly within the spinal framework generates mechanical stress. Because of the direct mechanical and physiological relationship between the spinal column and the spinal nerve roots, the vertebral subluxations as well as other spinal abnormalities have the potential to impair proper nerve functioning. Once nerve functioning is compromised, communication within the body becomes less effective jeopardizing the overall health and wellness of the individual. Generally, the lack of movement of a vertebral bone is due to a vertebral subluxation. Chiropractor will analyze, detect and correct the vertebral subluxations in order to restore mobility and nerve function. 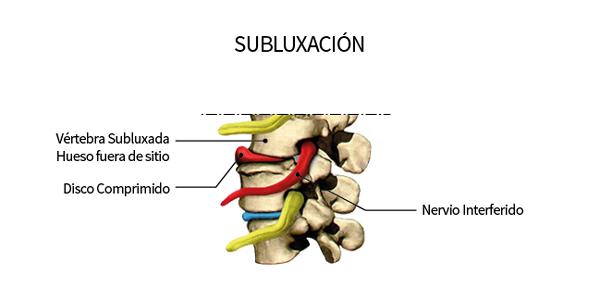 The vertebral subluxation is the disfunction of the movement of one vertebra. It s going to generate pathologic changes in the nerves, muscles, ligaments, vascular and connective tissues. The vertebral subluxation is a lesion or dysfunction in a joint or motion segment in which alignment, movement integrity and/or physiological function are altered, although contact between joint surfaces remains intact. Premature aging of the spine. Increased degeneration and deformation of the spine, associated to more frequent and severe symptoms. Loss of mobility of the spine. Peripheral nervous system disorders: sensitive or motor disorders.